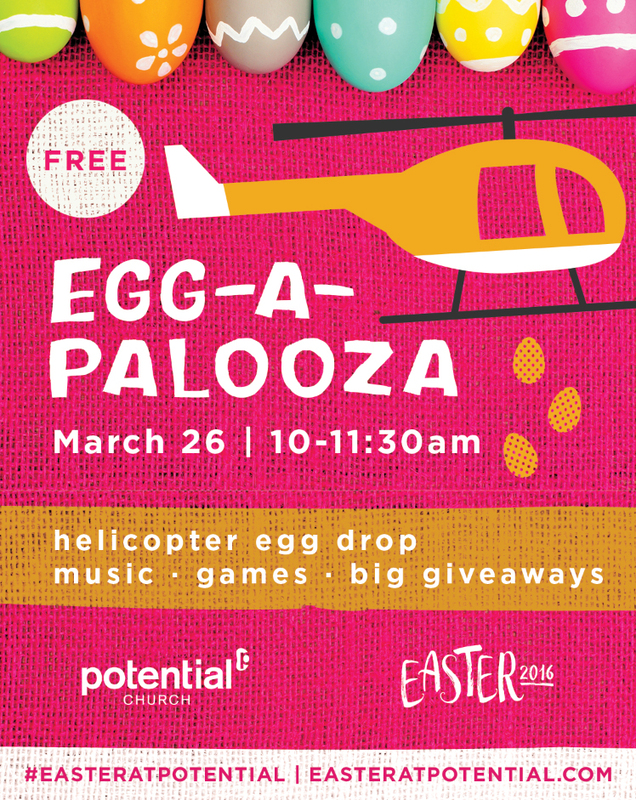 Cooper City's Potential Church will be hosting a larger than life Helicopter Egg Drop on March 26th with over 15,000 eggs being dropped from the sky, prizes given and a special Easter performance by the Acrobots (as seen on Ellen). Our desire is to serve the communities we are in, and what better way than to leverage seasons like Easter and Christmas or Holidays like Halloween and Thanksgiving to provide safe and fun events for our families. We hope you join us. - Troy Gramling. If you are looking for something to do this Easter - look no further! Potential Church in Cooper City is hosting a variety of community events that are guaranteed to bring joy to your family. 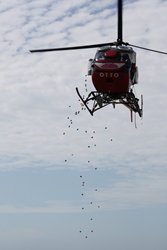 First, there will be a Helicopter Egg Drop where thousands of eggs will be dropped from the sky. Some eggs hold candy while others have a chance at being a special prize egg containing a voucher for things like Disney tickets, TVs, bikes,…even Chick-Fil-A for an entire year! Finally, the church will be hosting a unique Cirque-style performance by the group Acrobots (as seen on Ellen). All events are free to the public and will be held at Potential Church’s Cooper City location. See event details below. With over 30 years of history in South Florida, Potential Church is known for providing year round events for the community. The church’s mission is to partner with people to reach their God Potential and according to their website, they welcome people from all walks of life – regardless of age, race or church history. “Our desire is to serve the communities we are in, and what better way than to leverage seasons like Easter and Christmas or Holidays like Halloween and Thanksgiving to provide safe and fun events for our families. We hope you join us.” - Troy Gramling. (Lead pastor of Potential Church). *All services include free childcare and free Starbucks coffee.